Health Asia is the biggest ever health event in the history of Pakistan which provides enormous opportunities of learning, information sharing & cooperation and match making to all the stakeholders in the health sector. The Event shall comprise Exhibition and Conferences on latest research & developments / innovations on health, medicine, laboratory technology, diagnostics, surgery, transplants, physiotherapy, patients’ referrals, diets etc.. Delegations from Ministry of Health of OIC and Asian Countries, Hospitals of international repute, Medical Institutions, Pharmaceutical Companies are major participants of Health Asia. The Contemporary world is observing a transition in the perception of development and progress. People talk more about quality rather than quantity of life. Human development indices incorporate health as a major indicator to assess development of nations and civil society. An efficient health sector maximizing potentials of all related areas is the need of the hour. 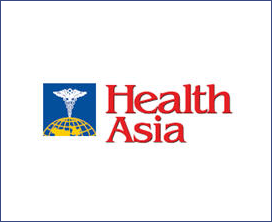 Health Asia is being organized to bring all the possible stake holders of health on board. New streams will emerge from this gigantic reservoir to provide specifics to specifics and identify avenues to rationalize the handling of multi trillion $ health industry.